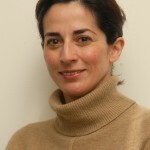 Mónica Peña, Psychologist, Education PhD is an academic and researcher in Education, Psychology and Critical Discourse Analysis. She currently works in Santiago de Chile, based at the Universidad Diego Portales, where she teaches Psychology and Education and is part of the Program “Childhood and Youth protagonism”. Her interests are Chilean neoliberal Education Public Policies, their effects on subjectivities and daily lives through critical discourse analysis.